Marriages that qualify for annulment are either void or voidable. 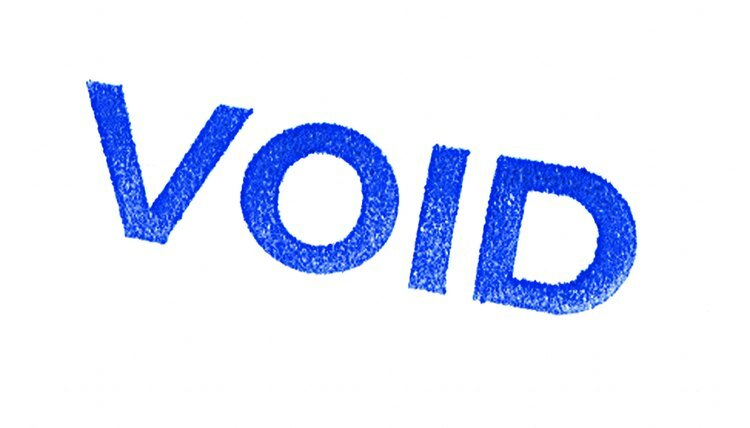 A void marriage is one that is invalid at its inception, meaning it is automatically illegal and incapable of being recognized under the law. In Missouri, a bigamous marriage is considered to be void. This is when a person enters into one marriage before legally dissolving a prior one. Missouri law also considers incestuous marriages void, as well as those involving a person who lacked the mental capacity to consent, for example, due to unconsciousness, insanity or intoxication. Missouri courts will only grant an annulment if there is evidence that the marriage is void or voidable. To this end, certain grounds are easier to prove than others. A common example are the grounds related to age. In Missouri, marriages involving a minor younger than 15 years of age are voidable. To receive an annulment based on age, a party must prove that -- at the time of the marriage -- the minor was younger than 15 and court approval was not given. For marriages involving minors 15 or older, but younger than 18, the court will grant an annulment if parental consent was not given at the time of the marriage. However, if the minor remains married after turning 18, the court is less likely to grant an annulment. In Missouri, the court may also grant an annulment on the grounds of misrepresentation, concealment or an inability or refusal to consummate the marriage, but these may be more difficult to prove. To receive an annulment based on misrepresentation or fraud, the requesting spouse must prove the other party lied about a matter essential to the marital relationship, such as the ability to conceive. Concealment is very similar to fraud; it involves hiding a fact that, if known, would have caused the requesting spouse not to enter into the marriage. For example, the failure to disclose having a venereal disease or terminal cancer could be grounds for an annulment. Also, if a spouse is unable or refuses to have sexual relations, this is grounds for annulment. Even if grounds for annulment exist, Missouri courts almost never grant them when a child has been born to the marriage. When annulment is not possible, due to the presence of children or other reasons, divorce is the only option available to terminate these relationships. When an annulment is granted, the marriage is treated as if it never happened -- everything each party acquired during the marriage, including earnings from employment, remain each one's separate property. This can have severe financial implications for one or both parties, especially after a long-term relationship. In contrast, if the marriage is terminated by divorce, property and earnings acquired during the marriage are considered joint property, to be split between the spouses once the divorce is final. Paule, Camazine & Blumenthal: How Is an Annulment Different From a Divorce?